Summary: Busani Sibindi is an activist in Zimbabwe who wants justice for the thousands of people massacred in a tribal purge decades ago. The government threatens, arrests, and harasses him. Still, he persists, founding the Save Matebeland Coalition Trust and organizing protests throughout the country. Profile: It happened in 1983. Shona soldiers loyal to the then (and still) Prime Minister Robert Mugabe in Zimbabwe killed 20,000 Ndebele people in a tribal purge known as “Gukurahundi,” The Mugabe regime has never publicly acknowledged its role in this massacre and does not like to be reminded of it. So it harasses activists like Busani Sibindi, who is determined that the government not only admit to its role in the killings but also compensate the families affected by it. Sibindi founded the Save Matebeland Coalition Trust, which promotes Ndebele culture and advocates for members of the tribe. Many of Busani’s meetings to educate citizens as well as his protest demonstrations have been disrupted by security agents—that’s if he’s allowed to hold the meetings at all. An example is what happened in September 2016. Demonstrators were set to protest the government, but the area was swarming with anti-riot police, who squelched the protest. Sibindi reacted: “Instead of declaring a state of emergency, they should have made emergency dialogs with various stakeholders who call for electoral reforms and deal with people’s grievances.” This is strong talk from Sibindi, considering that two years before he was arrested and convicted of organizing a similar demonstration. Sibindi knows what he’s doing. 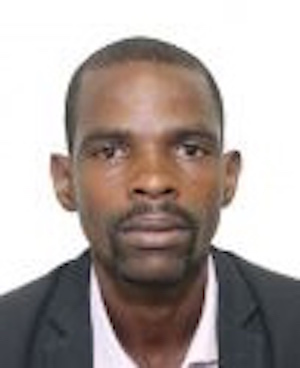 He holds a diploma in NGO Governance and Development Programming from Zimbabwe’s Center for Development Studies. He was also the national coordinator of the Beyond 2015 campaign, and he has made presentations in New York for UN Intergovernmental Negotiations. But having the ability and even the courage to make change happen isn’t always enough. As recently as February 2017, Sibindi was again talking about the Ndebele atrocity, advocating for “bringing perpetrators to justice and subsequently rebuilding and reconstructing the Matabeleland community through restorative justice, rehabilitation, reconciliation, and retribution.” And again he was met with no positive response from the government.